When you love something, sometimes you got to set it free. It has been an incredible run, but after much planning and deliberation, I will be stepping down as CEO of Global Mission Readiness, effective December 31st, 2017. 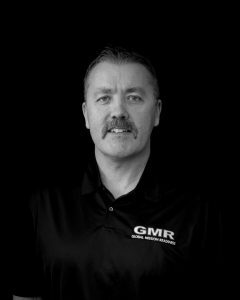 Vice President and Operations Director, Patrick DeLair will assume the leadership of GMR when he is sworn in as the new CEO that day. Pat has been shadowing me over the last year and possesses the same buy-in and vision for our great organization. To our many partners around the world: Please allow patience as he learns his new position and welcome him with open arms. Pat has some great new ideas and goals, but will also continue fostering the same relationships with all of you. I am incredibly excited to see where he takes GMR in the future. I’m so proud of this organization and the journey we have embarked on in our meager 9 years of existence. We set out with a goal of providing free education, resources and equipment to emergency responders around the world who were less fortunate or had little or no access to training. Our emphasis has always been on self-reliance and teaching others to teach themselves. I would have never dreamed we’d be on our 54th project, having trained over 2000 emergency responders in 13 countries. These people are now teaching others the curriculums we have shared during this journey. Many lives have been impacted by this education as we often receive success stories of people saved, pics and messages of thanks, for helping them help others. We have empowered over 100 volunteers to come out of their shells, travel to some primitive locations and make the world a safer place. I would like to thank our many supporters who have sponsored our trips and volunteers over the years. Without your help, we are nothing. Please continue to support GMR now, more than ever! Thank you to all of the students, interpreters and volunteers who embraced this concept. It has been unbelievable to communicate through language barriers and still achieve understanding. Turns out we’re not so different. Keep training and learning your craft. I will miss all of you greatly! A special shout out to the late Lucia Carrera, who was our life blood in South America. She WAS GMR Peru. I wish I had another chance to tell her how much she meant to us. Our incredible Board Of Directors who have shaped who we are and kept me in line and focused will always have a special place in my heart: Burke Slater, Steve Hoffeditz, Becky Russell, Pat DeLair, Dr. Craig Warden and Brian Rooney, who challenged me to do something about the world’s problems, which ultimately led to GMR. Last but not least, my family: Hunter, Korey and my wife Whitney, who sacrificed so much so I could ultimately spend months away from home to do what I do. Whitney literally pushed me to form GMR when I wasn’t sure of myself and has put up with this machine for all these years. I could not have done ANY of this without her support and encouragement. Without her, I would not have started this journey and GMR would not exist. Words cannot express how thankful I am for her and my boys. Love all you guys! I have one year remaining at Clackamas Fire as a fire captain before my retirement. Passing the reins of GMR will allow me to focus on my family and my final year at work. I plan to travel in 2019 and beyond, and trust I will still have some places to stay and visit with some of our friends abroad. Thank you everyone for this amazing experience! Good luck and God bless you all!